The clandestine contacts with the Taliban have borne little fruit, according to people who have been told about them. But they have helped undermine the remaining confidence between the United States and Mr. Karzai, making the already messy endgame of the Afghan conflict even more volatile. Support for the war effort in Congress has deteriorated sharply, and American officials say they are uncertain whether they can maintain even minimal security cooperation with Mr. Karzai's government or its successor after coming elections. 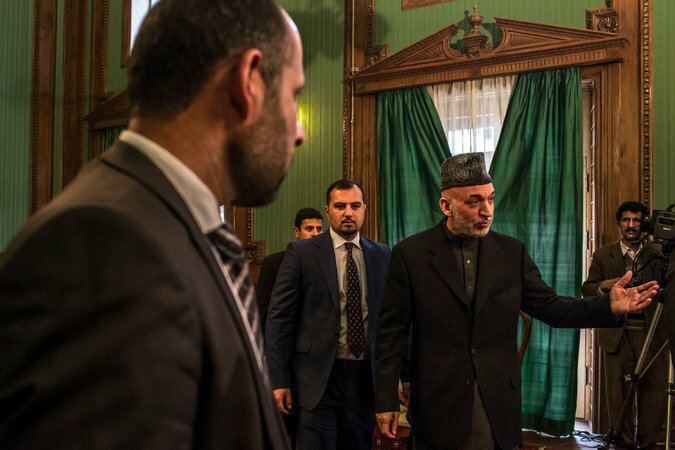 Karzai's move to court the Taliban should come as no surprise given his outbursts over the past several months and his refusal to sign the Bilateral Security Agreement with the US. His recent behavior has wearied and dismayed his Western backers, and his patent self-interest in disregarding the recommendation of the Loya Jirga to endorse the BSA is not likely to endear him to fellow Afghans, either.